You know how I do a review at the end of each season featuring a series that just finished airing? I’ll admit, this was a hard choice this time around. Mostly because this summer had a really good amount of series that were actually rather fun! From Tokyo Ghoul to Barakamon and even to Monthly Girls’ Nozaki-kun, it was just really hard to narrow this special seasonal review down to just one. But, I think I figured one out. 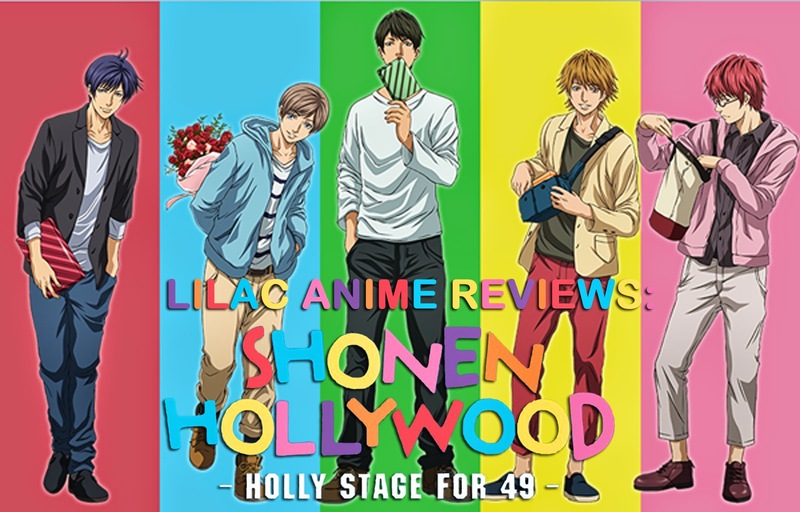 Shonen Hollywood -Holly Stage for 49- is a 13 episode Comedy/Music series made as a sequel to the light novel, Shonen Hollywood, written by Ikuyo Hashiguchi. The anime from director Toshimasa Kuroyanagi and Studio Zexcs aired during the Summer 2014 season. As of this review, it is licensed by FUNimation Entertainment (US). Set 15 years after the light novel, Shonen Hollywood brings together five teenage males in the hope of revitalizing the well known idol group, Shonen Hollywood. The five young idols, Kakeru, Amaki, Kira, Shun, and Tomii spend their days at Toyko Stage training in order to make their idol debut. Although, the boys do tend to question what the president has in store for them from time to time, seeing as how his reasoning doesn’t seem to make sense very often. The animation is rather different than other idol series that I’ve seen or heard about. This is because Shonen Hollywood is one of the more realistic looking idol series I’ve seen. By this, I mean, it doesn’t have the typical shoujo style that many idol series tend to have. If you were to compare Shonen Hollywood to other idol series like Love Live School Idol Project, Wake Up, Girls!, or even Uta no Prince sama (another series featuring a male idol group) you can see what I’m talking about. The animation and character designs certainly help enhance the story much more, and I’ll get to why in a minute. The soundtrack kinda reminds me of Hans Zimmer and the film Inception...........Ok, let me explain here. When Zimmer was creating the soundtrack for Inception, he managed to use one sound over and over again but varying it to blend it in with other tracks. Shonen Hollywood's soundtrack reminds me of that a little. While there are some tracks the guys as well as other idols sing throughout the series, there is this one track that is used a lot and in varying keys and tones. 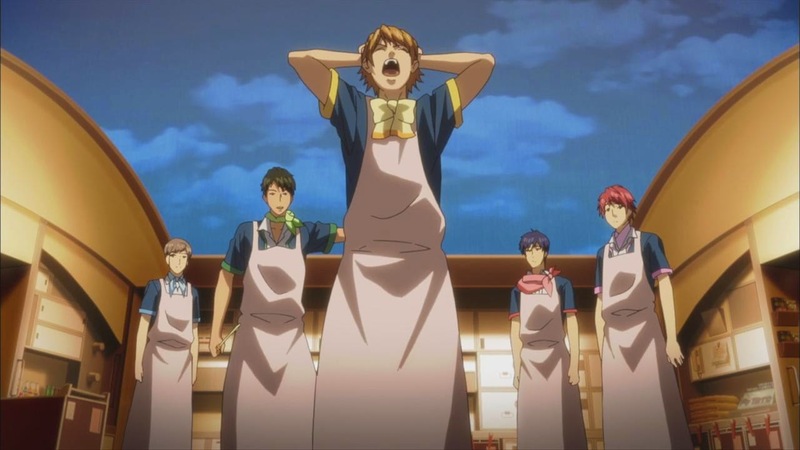 As for the theme songs, the opening is pretty typical of idol series with the group singing a song that is featured in the series, while the ending shifts around depending on the episode it follows. The soundtrack isn’t bad, but it’s not drop dead amazing. Opening can be catchy though. Now, I just said that the animation and character designs help enhance the story. What do I mean by this? The story, itself, is a more behind the scenes approach to the idol world. From the start of the series, our group of guys have already formed and become Shonen Hollywood and are now in the process of training. 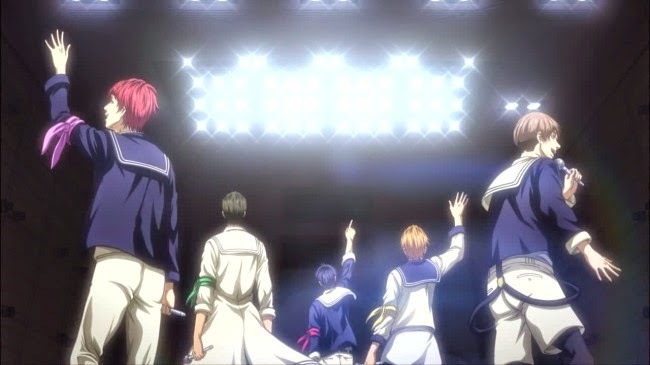 Then, throughout the course of the series, the story is of these five guys in training and working towards their debut. They don’t hold concerts, kind of, and they haven’t been established as a popular idol group. Yet again something else that makes this series different than most other idol series that I’ve heard about. Although this can be seen as a positive thing, there are some risks involved with this writing decision. What it really comes down to is if the viewer will be ok with the lack of singing from our idol group and may get bored with all this build up. And, admittedly, the series can drag on from time to time. It does make an attempt to try and appease the viewer with two separate episodes that were set up rather interestingly. One episode, fairly early on, is the group performing a stage production called Air Boys. The second episode, in the latter half of the series, has the boys making their TV debut. Here’s what’s interesting about these two episodes: that’s all these episodes are. The Air Boys episode is just the opening night of Air Boys, and the TV debut episode is just the TV debut. There is nothing before or after these episodes that helps give a better indication of this (granted there is a lead up to Air Boys in the episodes prior). This does catch the viewer’s attention and is one of the major reasons why I found the story to be different than other idol series. The downside to this is they actually felt like the longest of the series. There were points where I would keep checking the time stamp to see how much longer I have left of an episode. It’s a different method to tell the story, but this risk did have some slight weaknesses. As for the ending, considering how the anime progresses, it ended where it was expected to, albeit a little predictable. However, season two will be coming up this winter making me wonder how the series will decide to progress now that it has gotten to this point. Our cast of characters are a mix of personalities and experiences that are brought to the table. 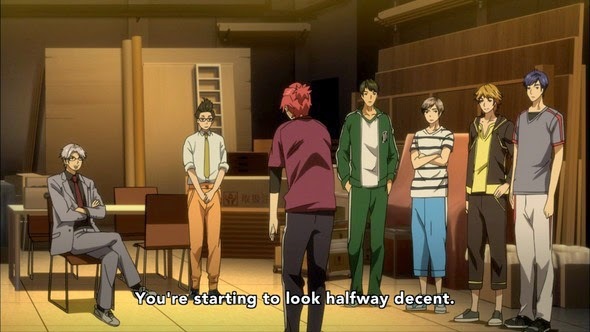 For our five Shonen Hollywood members, Kakeru, Makki, Tomii, Kira, and Shun, this is the most evident. Shun is the most mature and musically inclined who is the most passionate about breaking into the music business. However, this can cause him to be rather hot headed and stubborn with some of the jobs the President asks for the group to do. Kira is the only member of the group who has been in the entertainment business as a child actor. As the youngest member of the group, he has a good amount of maturity compared to the others, however it can be a little too much at times. Tomii is the only member who is a huge fan of the original Shonen Hollywood because one of the original members grew up in the same orphanage as him. He is the most energetic and cheerful of the group and is always finding ways to bring up morale. Makki, the oldest member, is the leader of the group. 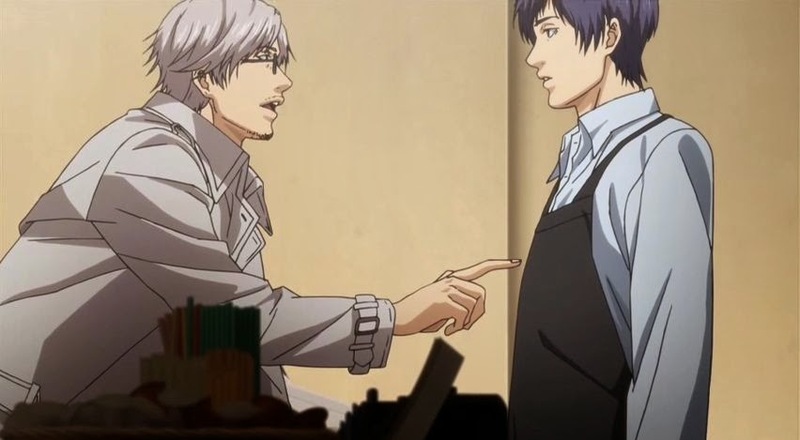 He’s the slowest when it comes to his training and it’s often pointed out by Shun and Kira. Like Tomii, he is very excitable and determined to bring Shonen Hollywood into the spotlight. Now if only he would figure out how makeup works (this is a thing, no joke). 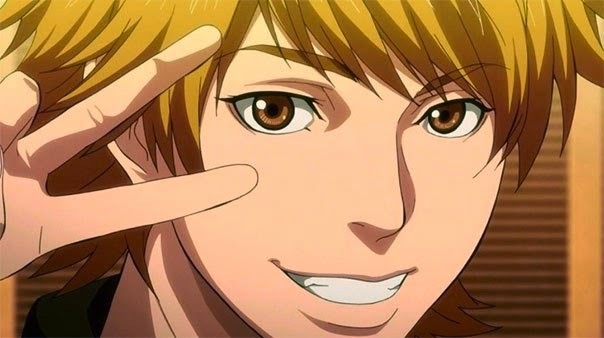 Kakeru is seen as the main character of the series. 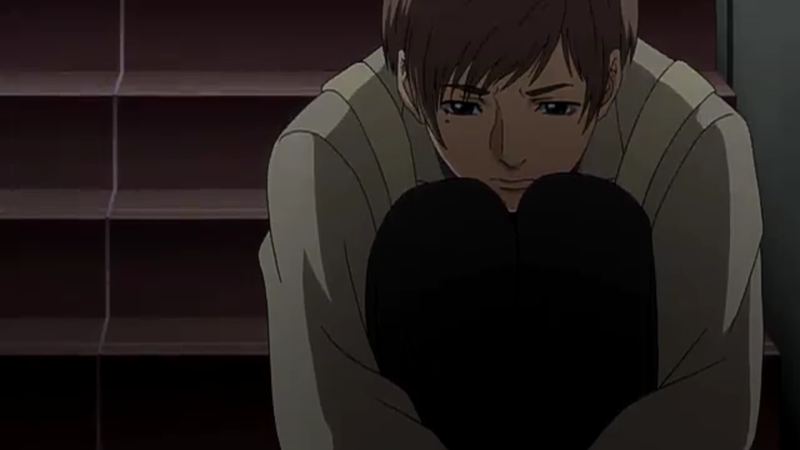 Throughout the series, he struggles to gain confidence in himself and grow as both a person and an idol. Sadly, I found him to be rather bland and was very interested in seeing another character take on the lead role. But, at the same time, since Kakeru is a quiet and sometimes insightful character this actually helps with the behind the scenes perspective of the story. 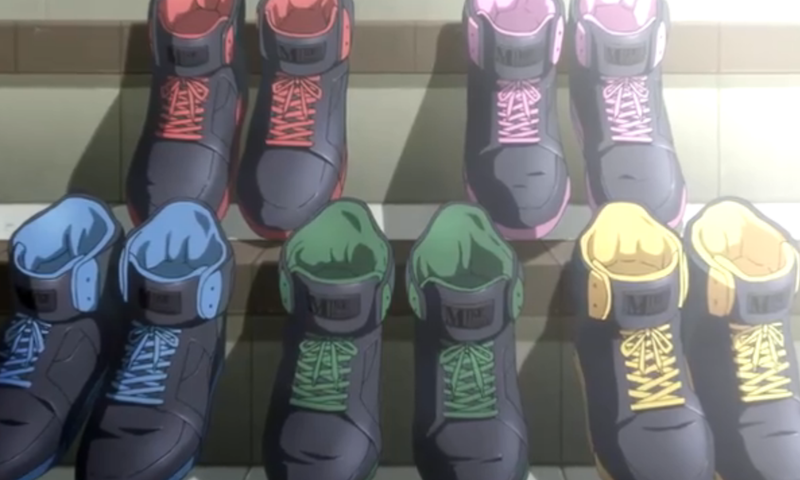 Over the course of the series, each member of the group has at least one episode dedicated to their own individual stories with four getting theirs early on and Shun’s in the second half of the series. Each episode has the same idea, they question the reason why they joined Shonen Hollywood. Rather simple idea and development piece. 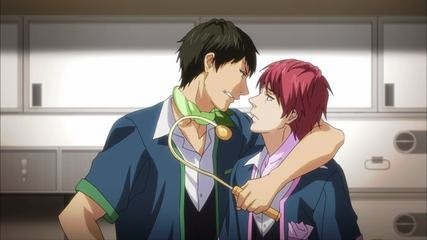 I do want to mention two other major characters before moving on and that’s the President and Teshigawara. Teshigawara is see as the major trainer for the group and has worked at Tokyo Stage since the first generation of Shonen Hollywood. His character is rather straight laced and straight forward, but is also very supportive of the group. The President is a rather interesting character to talk about because he is actually a member from the first generation of Shonen Hollywood (it’s revealed this early on, so it’s not really much of a spoiler). God (yes that’s his name), can sometimes be hard to read. No one is aware of who he really outside of Teshigawara and the other first generation Shonen Hollywood members that appear throughout the series. He’s seen as serious and insightful, but never really explains his motives for some of his actions like the TV show where the group went through obstacle courses and things like that. Overall, the cast isn’t developed that well. If there wasn’t a second season already announced, I would be rather disappointed in it. The second season better help develop the cast a bit more. The voice acting of Shonen Hollywood is as natural as is should be, given the content and direction of the series. There are a mix of good performances and slightly bland ones. I bet you can guess the obvious bland one! Ryota Ohsaka (Attack on Titan, Hamatora) voices our lead Kakeru and, like his character, the performance is kind of flat. Personally I like to think it’s a product of the character rather than the voice actor. Daisuke Namikawa (Ace of Diamond, Black Lagoon) who voices God, is also among the more bland performances but still manages to sound much more natural. 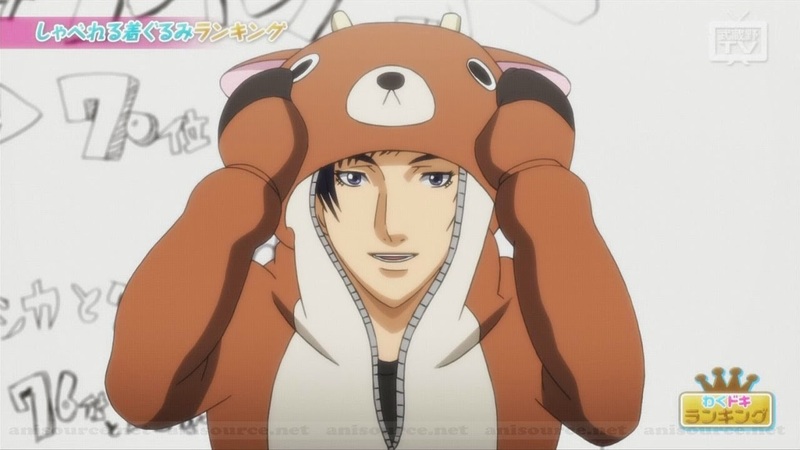 Shouta Aoi (Uta no Prince sama, You and Me) as Tomii can be a little annoying at times, but still kept the fun and cheerful personality. Daiki Yamashita (Kamisama Kiss, Yowamushi Pedal) and Kensho Ono (Aldnoah.Zero, Kuroko’s Basketball) as Kira and Shun do bring some life to their characters, making for good performances. 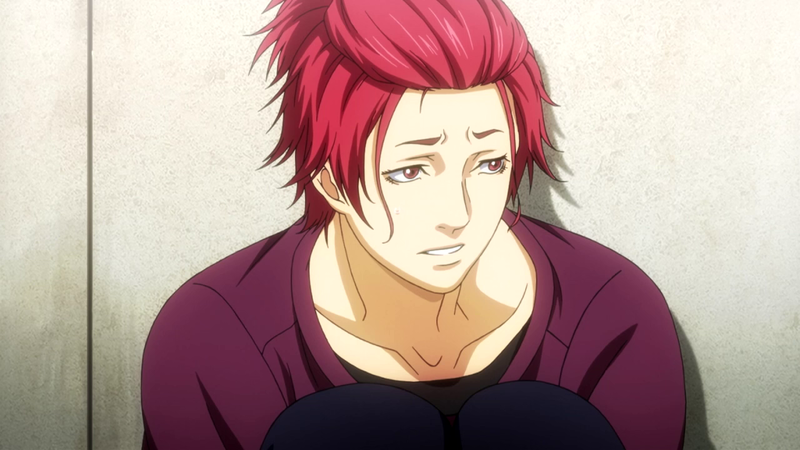 As for Makki, Tetsuya Kakihara (Fairy Tail, Romeo X Juliet) seems to have the most fun with his performance. He is also the only person with the longest voice acting credits so..... It’s a lot more understandable. By the time of the big debut, Shonen Hollywood -Holly Stage for 49- takes on the idol genre is completely different way. The animation style coupled with the a more behind the scenes approach to the story may seem like a challenge, but the series manages to execute it well. Not outstanding, but well. With a rather bland main character, it does make it a little more difficult to watch but the entire cast, as a whole, balances each other out. If you’re looking for a different take on the idol genre, then this may be what you’re looking for. However, if you’re not too big into the whole Japanese idol thing, then this one isn’t for you. Next time, the espers come out to play. Until then, otaku on my friends! Final Rating - 6/10 Access Hollywood has got nothing on this series!